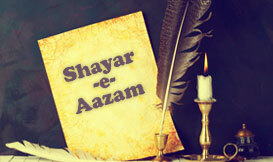 ith a deep regret I am addressing to all the fans and admirers of Bashir Badr, that Dr. Badr and I would not be able to attend the launch ceremony of www.irspbb.org and www.bashirbadr.com and the 18,000 Shares Encyclopedia of Shayar-E-Azam Dr.Bashir Badr ; scheduled on 1pm 12th April’ 2011 at stall number R505 Earls Court, The London Book Fair. The portal and the Encyclopedia have been a creation of 7 years of sincere work, tireless efforts and dedication. We wished to release the portal at an international level and London Book Fair being one of the best platforms for the launch and promotion of the new released books, the event was quite awaited for. Dr. Badr holds his sincerest wishes for the release of the portal. Also for a fact, he has always momentously appreciated my efforts for the promotion of his works; I knew this day was markedly a big day for him too. Unfortunately two days ago Dr. Badr fell ill and was advised by the doctors to take bed rest. His sudden weakness and ill health doesn’t allow him to travel at the moment. I am a big admirer of him and since he regards me his son, I feel it is in the best interests that I be there to look after him in this delicate time. My Chief Operating officer Sudhir Sehgal will be there at the stall to represent us and he will be happy to talk on my behalf to you all who took time to come and visit us. I hope you will appreciate your efforts dedicated in the making of the Portal and promote our intent to spread the works of Dr. Badr in the world. I apologies to you all to whom I might have disappointed by this last moment cancellation. On a positive note we have already started our work in organizing a re-launch in the coming Frankfurt Book Fair 2011 this October. Being regretful that we are not physically present, my soul and wishes are always there. I hope that you will acknowledge the efforts my team put in to make the launch successful. We wish for your support in making us a success. Do you think this site is a good idea to promote Dr. badr's literature? 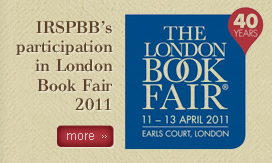 International Readers Society of Poet Bashir Badr has participated in London Book Fair 2011 to launch its portals www.irspbb.org and www.bashirbadr.com. I am glad that on 12th of April 2011, my website is being launched. I congratulate Nilesh Neel for his successful hard -work and I thank you all.